Most of us have had an overflowing cupboard, closet or drawer from time to time, but when people acquire and don’t throw away a large number of items it is referred to as hoarding. According to the National Alliance on Mental Illness, about 5 per cent of the world population suffers from clinical hoarding. 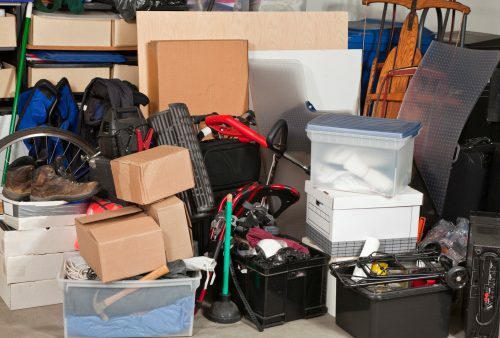 Hoarding is a medical condition that can have a big impact on your health. Many doctors believe that hoarding is the result of anxiety disorder. The Mayo Clinic for instance associates the problem with OCD or Obsessive Compulsive Disorder. The International OCD Foundation estimates that 1.4 million Americans display compulsive hoarding behavior; however, research shows that not all people who hoard have OCD. Some psychiatrists speculate that brain injuries, Attention Deficit Disorder, depression, extreme stress, as well as chronic pain and grief can cause hoarding. Hoarding is a growing problem so more research is being conducted to unravel the mysteries behind what appears to be a mental health disorder. Whether it is stress, depression or some other mental health issue that is triggering the hoarding, the problem is unhealthy. Hoarding creates unsanitary living conditions which puts more stress on your body. It can effect personal hygiene, cooking, and be a fire hazard. People who hoard rarely store or cook food properly can expect food poisoning. The scraps of food lying around, as well as wet newspapers brought in from the rain or other items thrown in a pile can cause mold and mildew to accumulate. When mold and mildew are inhaled they increase your risk of asthma and allergies. Those with weak immune systems also run the risk of getting infections. Mold can produce a toxic substance called “mycotoxins”. The Environmental Protection Agency states that some forms of “mycotoxins” when inhaled, can cause liver and lung cancer. The health repercussions don’t stop there. Some people are animal hoarders; they keep literally dozens of animals in their home and rarely let them outside. This means that the house is full of feces, dirt and animal hair. Animal waste can cover the interior surfaces including beds, countertops and cupboards. It is the perfect breeding ground for food-related illnesses and parasites. Atmospheric Ammonia levels tend to be high as well. Inhaling ammonia can lead to respiratory distress. To make matters worse, animal hoarding exposes people to Zoonosis disease. These are diseases that pass from animals to humans. The animals often get ill from not being taken care of properly. Hoarding can be mild or severe. In some cases it can put a lot of stress on a relationship or even tear a family apart. If you or someone you know have symptoms of hoarding, talk to a doctor or mental health care provider so they can give you proper guidance.